John Melley is a Voice Actor and Business Audio Production Specialist from Boston, Massachusetts. John is the Production Director for Boston’s award winning Mix 104.1 (WBMX) radio station. 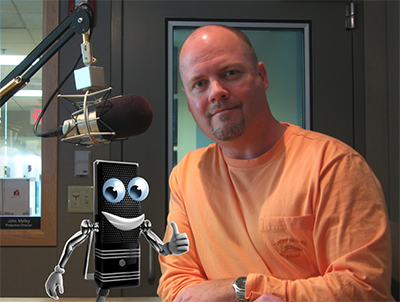 John is known throughout the Boston area and nationally for the great character voices he uses in commercials, promotions and announcements. John was recently heard on the TV commercials for the Jerry Seinfeld Production: “Long Story Short” Starring Colin Quinn. He has performed characters for Atari video games, audio books, corporate training, website audio. He’s voiced commercials and presentations for Irving Oil, Crumbs Bakeries, Hewlett Packard and other companies. John’s voice can also be heard in an exhibit at the Ronald Reagan Presidential Library in California. John is the creator of powerful new marketing tool for business owners called the AudioMERCIAL® – a custom interview program designed to build credibility and expert status. John is the creator and host of the Voice Over Marketing Podcast and you can listen and subscribe to it at Voice Over Marketing Podcast.com John is also the Author of 7 Insider Secrets to Profiting as a Voice Over Artist, available exclusively on Amazon.com’s Kindle. John applies the hard lessons learned from operating a family retail business in order to create a business that suits him and his interests. With an extensive music background, having studied piano, clarinet and saxophone in numerous ensembles, John is now studying the drums. In his spare time John likes exercise, kayaking in Maine, reading and spending time with family. John is a lifelong resident of Massachusetts and lives with his wife Ann in the Boston area. On a weekend strength-finding workshop, John discovered he likes closure, projects with finished product.